The first completed work of the Second Vatican Council (1962-1965) was the Constitution on the Sacred Liturgy (Sacrosanctum Concilium), promulgated on December 4, 1963. This document presaged a radical transformation of Catholic worship throughout the world. The Mass was soon translated into English and its Order of Worship was revised. The altar, which for centuries had faced the rear wall of the church, was made free-standing, so the celebrant could face the congregation. These and other new directions precipitated significant alterations in the fabric of many churches and chapels in order to accommodate the new style of Catholic worship. 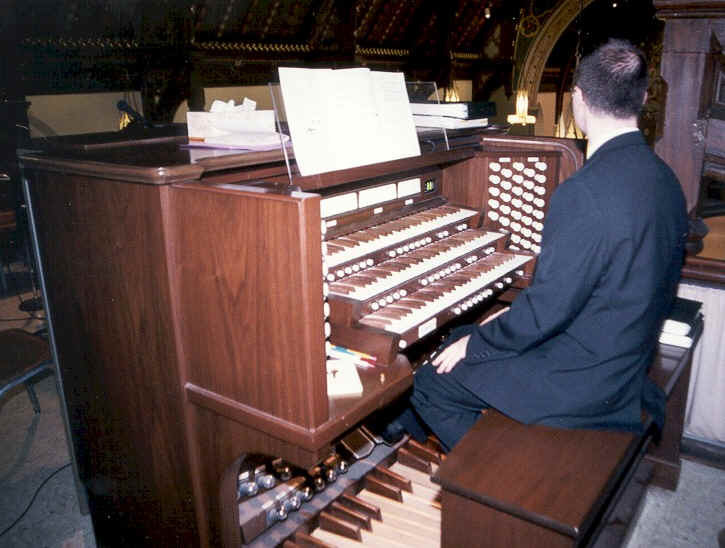 In 1972, it was decided to make extensive alterations to the sanctuary under the direction of John D'Eletto. According to the February 11, 1972 Setonian, the cost of these renovations did not exceed $11,000. The main and side altars were dismantled. Portions of the "Msgr. Whelan" marble main altar from 1915 were used to create a permanent free-standing altar on the first level of a rounded platform in the center of the sanctuary. At the rear of this platform, two steps up, a new chair for the celebrant was placed. 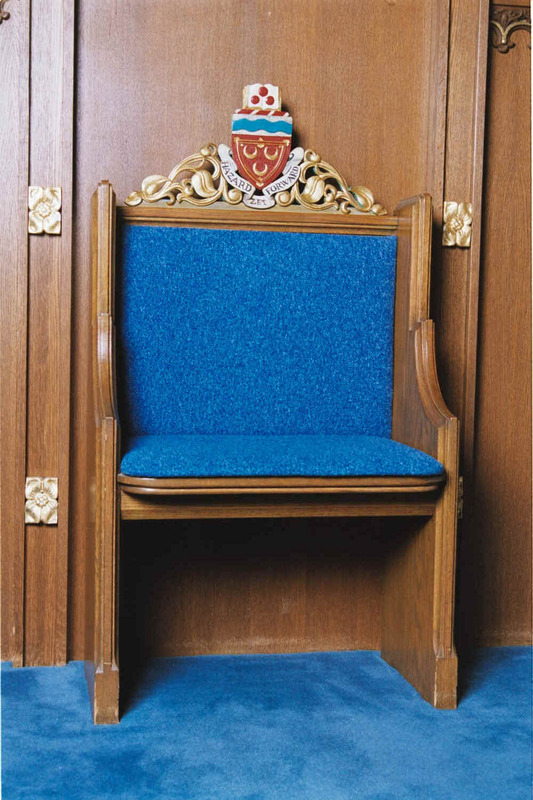 This chair bears the university arms. Immediately behind the platform a wood screen was placed transforming the rear area of the chancel into a storage area for liturgical vessels and implements. 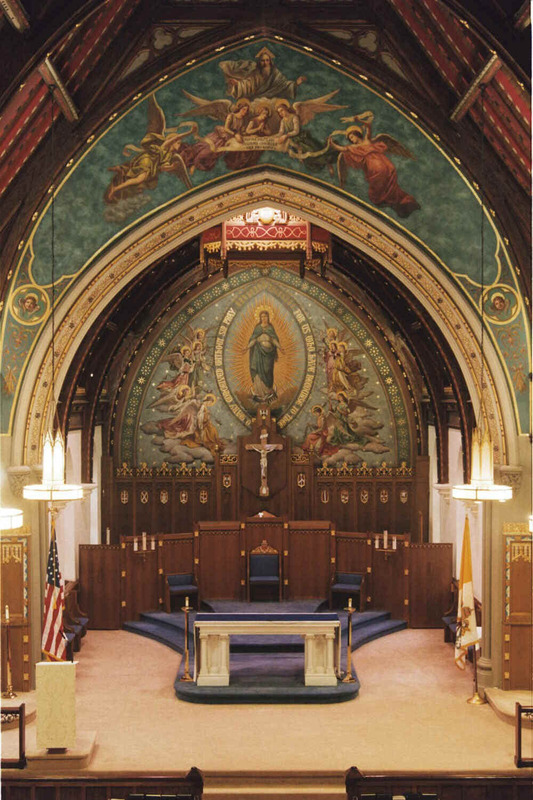 The marble crucifix from the 1947 renovation was placed on the rear wall of the chancel below the mural of the Immaculate Conception. 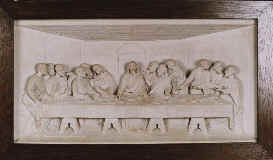 The marble carving of the Last Supper was placed on the right side wall of the Chapel. 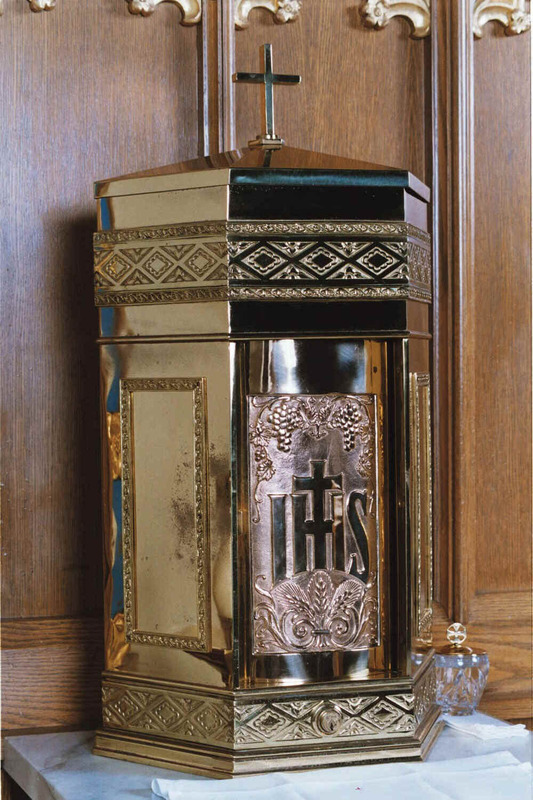 A shrine for the Eucharist replaced the altar of the Blessed Virgin. 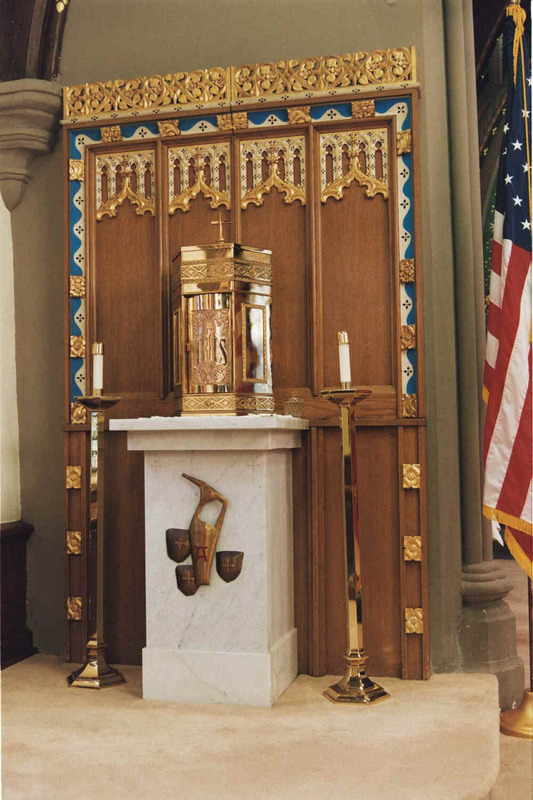 The 1947 tabernacle was placed on a platform created from portions of the dismantled 1931 "Msgr. Meehan" side altars. The "consecration crosses" (carved crosses on the top portion of an altar anointed with oil when the altar is consecrated) can be seen on the front of this platform. The platform was embellished with an ewer and loaves motif, recalling the bread and wine of the Eucharist. The left and right sections of the 1963 reredos (the central canopy portion was discarded) were placed behind and flanking the tabernacle. Additional oak paneling was added below the reredos. Similarly, a shrine for the Blessed Virgin replaced the altar of St. Joseph. The statue, from the 1931 renovation, was placed on a like pedestal and backed with portions of the 1963 reredos. 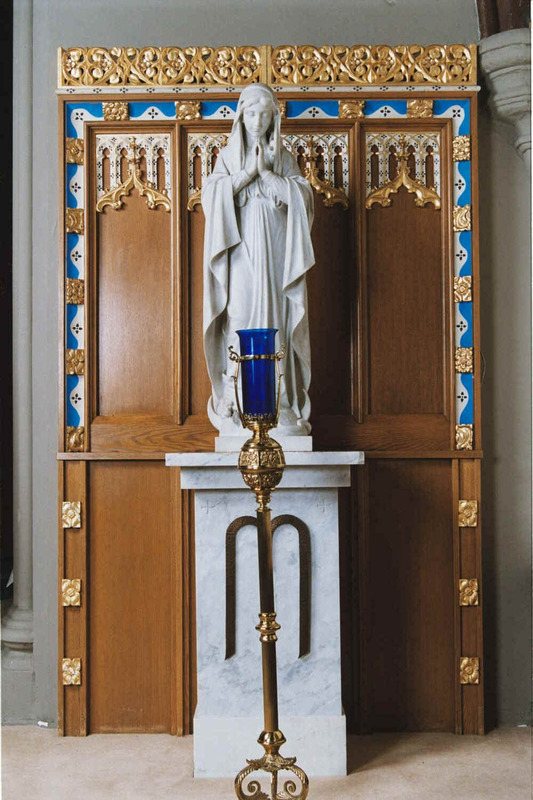 A Marian symbol (a stylized letter "M") was placed on the pedestal. The statue of St. Joseph was moved to a wood pedestal near the main entrance of the Chapel. The baldachin was moved forward to place it over the new altar. The central sections of the nineteenth century altar rail were removed. 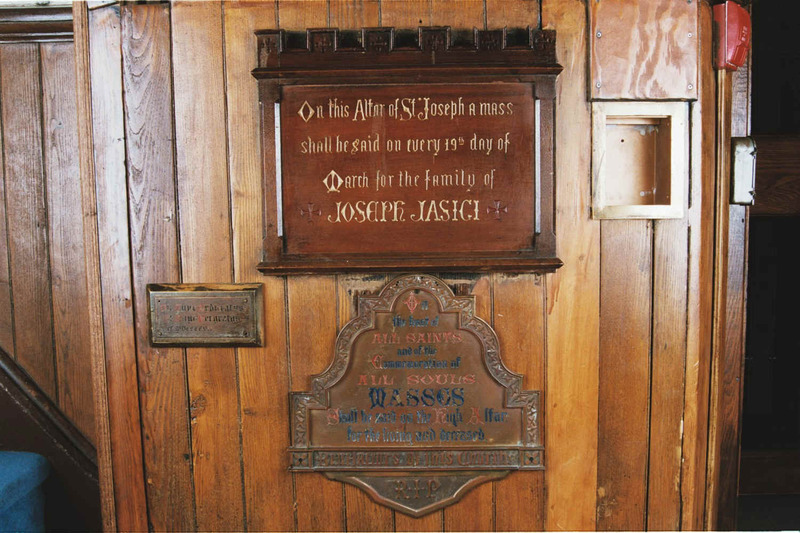 The plaque commemorating the benefactors of the Chapel, the Jasici plaque from the altar of St. Joseph, and the small plaque were placed on the rear wall of the Chapel, to the right of the main entrance. Private Mass altars in the choir or organ loft, which may have been the original wood side altars, were removed. Air conditioning was installed and the lighting enhanced. 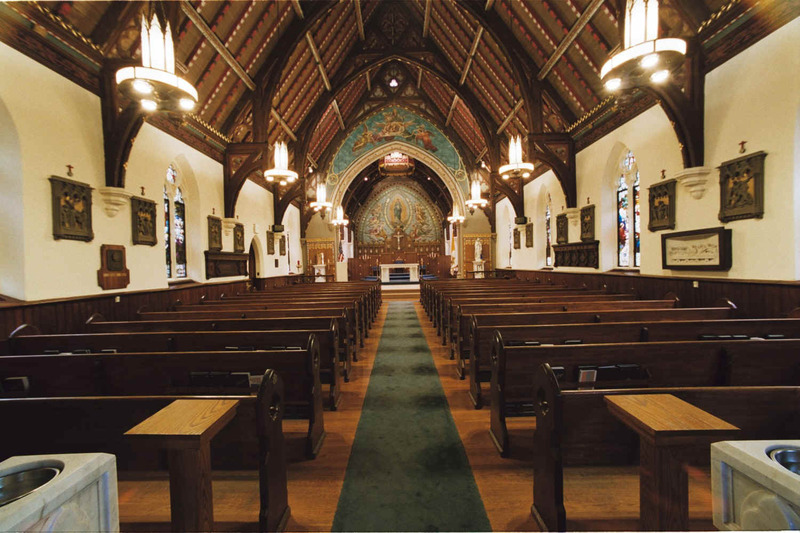 In subsequent years, various repairs and renovations were made to the Chapel. None of them altered the essential appearance of the building.